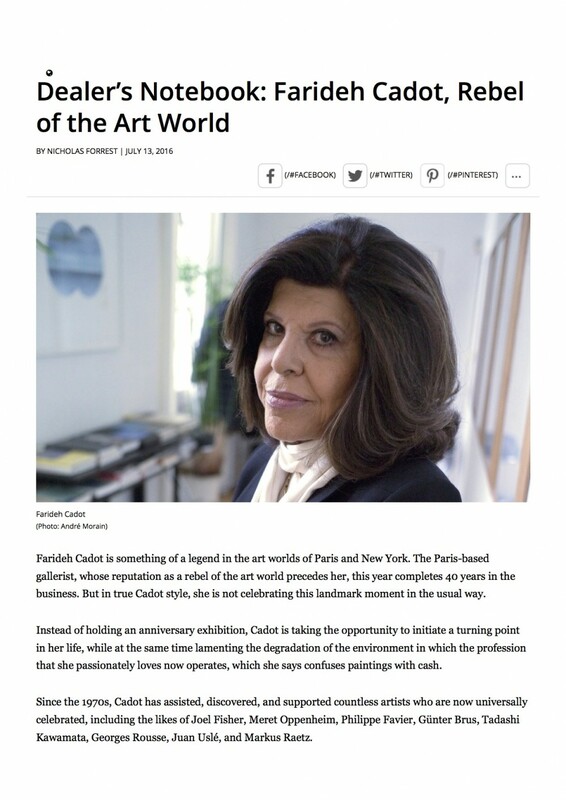 Farideh Cadot is something of a legend in the art worlds of Paris and New York. 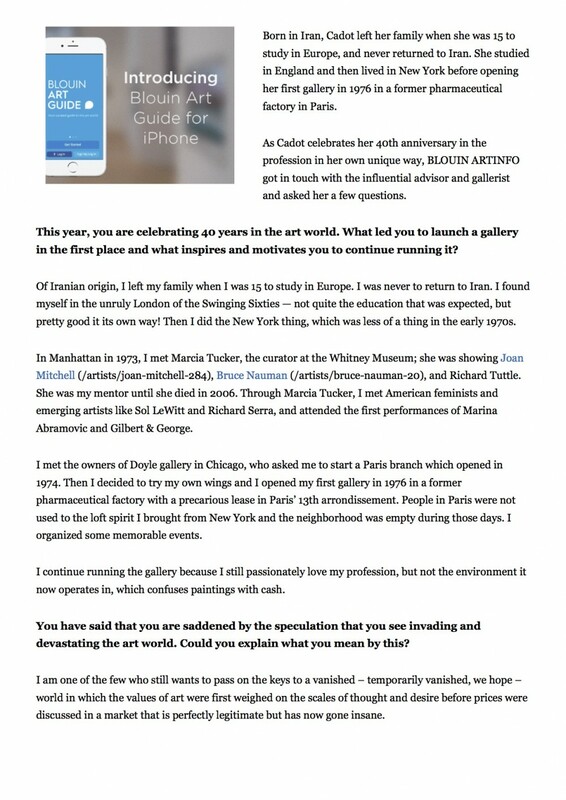 The Paris-based gallerist, whose reputation as a rebel of the art world precedes her, this year completes 40 years in the business. But in true Cadot style, she is not celebrating this landmark moment in the usual way.